Mealtimes can be fun again with this stylish Belling FS60DFDO Dual Fuel Cooker. The FS60DFDO Dual Fuel Cooker includes a double oven with an integrated variable grill, and a four burner hob with fitted flame supervision devices. There is also a glass hob lid with safety cut-out, which gives you added peace of mind if you have inquisitive children or pets. Maintenance of the FS60DFDO Dual Fuel Cooker is also made straightforward by the inclusion of easy-clean Pristine enamel liners. 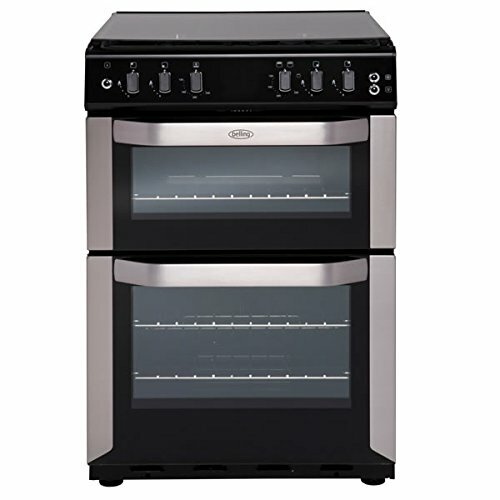 For affordable cooking with the combined convenience of electric ovens and a gas hob, you need look no further than this high quality Belling FS60DFDO Dual Fuel Cooker.